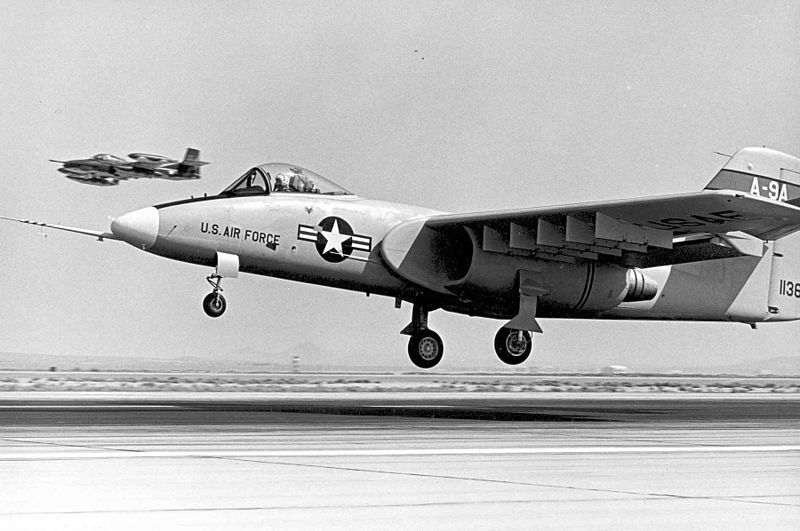 On this day in 1972 the Northrop YA-9 had its first flight. Faced with criticism that the Air Force didn’t take close air support seriously, the Attack Experimental program office was formed and, on March 6, 1967, a request for information was sent to 21 contractors with the goal of developing a low-cost, highly survivable aircraft. From these requests, two finalists emerged: the Northrop YA-9 and the Fairchild YA-10. A fly-off between the two aircraft took place between October 10 and December 9, 1972, with the YA-10 being declared the winner on January 18, 1973. This aircraft is today known as the A-10 Thunderbolt II. The two YA-9 prototypes were given to NASA for continued flight tests before being retired, with their engines being removed and mated to a C-8 Buffalo as part of the NASA-Boeing Quiet Short-Haul Research Aircraft study. One of the airframes is on display at the March Field Air Museum at March Air Reserve Base in California, with the other sitting in a storage yard at Edwards Air Force Base awaiting restoration.